William Burianyk first posed a question in 1960: what role was played by Ukrainians in the Canadian Army during the First World War? The Canadian Expeditionary Force (C.E.F.) fought in France & Flanders, including battles at Ypres, Passchendaele, the Somme, Hill 70 & Lens, Mount Sorrel, and Vimy Ridge. 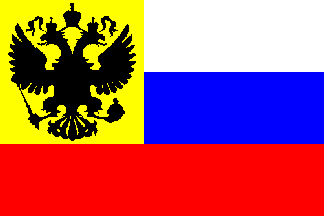 Are you or do you know a descendant of a Russian or Ukrainian man who served in the C.E.F. during the First World War, also known as the Great War or World War One? Since 2003, research has been undertaken and continues about thousands of men from Ukrainian and other regions of Imperial Russia who enlisted in Canada. Contact with and interviews of descendants of these veterans is needed for a forthcoming book. The tale of Ukrainians forced into internment camps has been told. Now it is time to talk about the men who fought for Canada. Are you a descendant, or do you know a descendant of John Broznicky (Ivan Romanov Broznitskii) of Kingston or Alex Broznicky of Harrowsmith? Please get in touch. Are you a descendant, or do you know a descendant of John Renton, Violent Renton, or Mervyn Renton, of Leadenhall Street, London? Or Zinovy Preev? Please get in touch. Researching the Russians has led to other subjects. The list continues to grow.